*Sigh* Sometimes it really is the little things! Actually I think my husband would argue that this really was a big thing, but either way, I’m excited about it just the same. 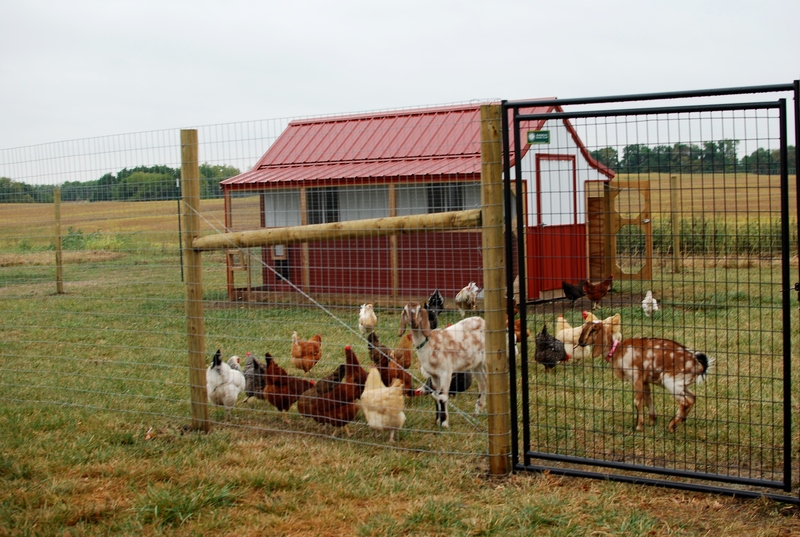 This… is the new chicken fence! When we I first ordered our baby chicks I had these quaint visions of happy hens pecking and scratching about the yard. 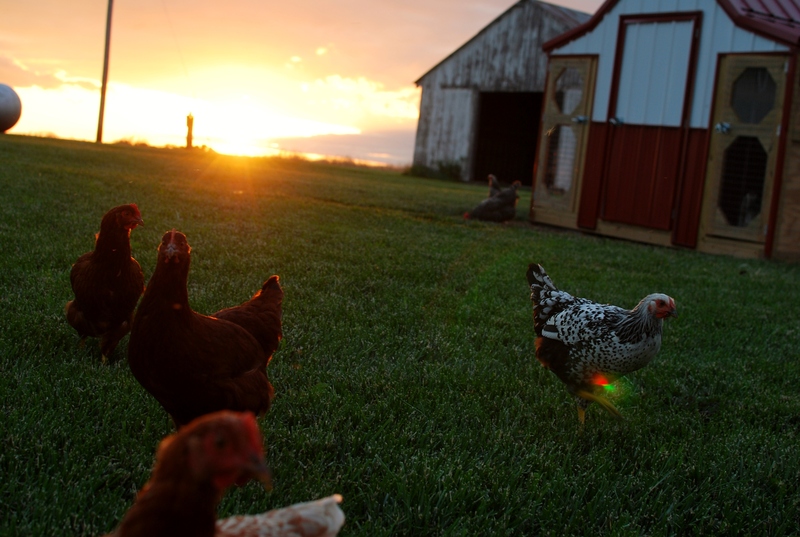 I would shut the birds up in the coop at night, but during the day I opened their pen and they would run like first graders to recess out of that little door. Then they would meander about the shed and backyard during the day and put themselves to bed when the sun set. It all worked very nicely… for a while. First it was the neighbor’s dog. Apparently he liked chicken dinner as well as anybody. Then it was the rye grass newly planted in the field by the house. I guess it just kept calling them to explore further. Next it was my garden. Which was fine as long as they were fertilizing it, but not so much when it came time to plant seeds. And when they discovered the dirt bath under the bushes and began to fertilize the sidewalk up to the front door, well, then Daddy had just about enough of the “picturesque” birds. But the final straw was loosing three birds in three days to an unmannerly coyote. 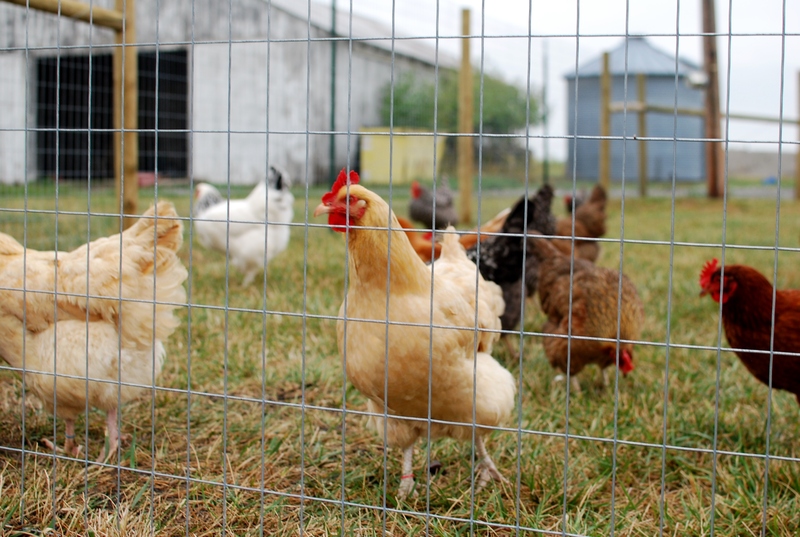 The chickens needed a fence. Which is easier said than done, of course. It took Daddy nearly a month to complete this project, squeezing it in between his other farm jobs. But when Daddy does something, he does it right. We live in tornado alley, and the fence was designed to be as Brett-proof as possible, which means it should hold up to the tornados just fine. Now all we need is a goat pen! That is a beautiful chicken fence. 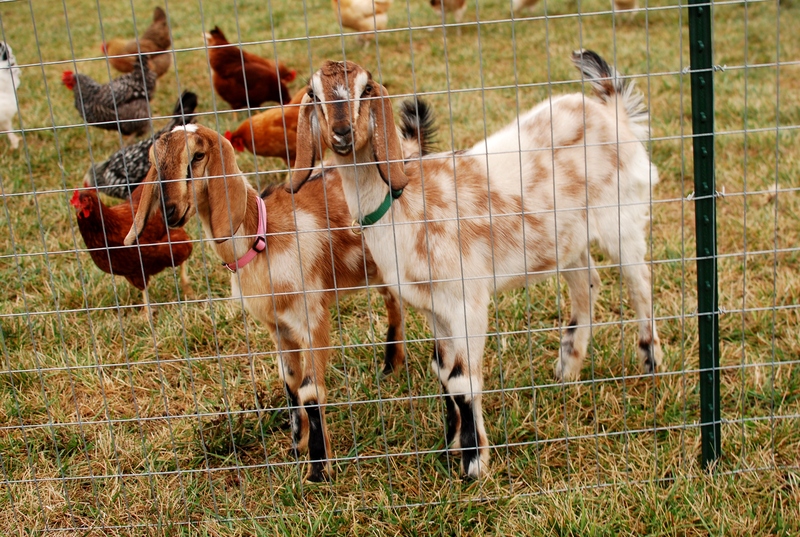 Looks like the goats are happy with the chickens :).